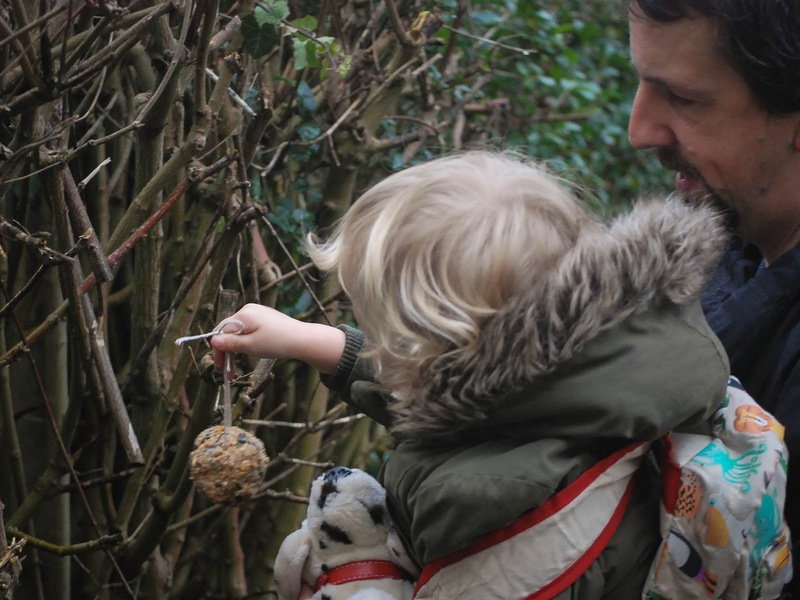 This really cold weather recently has meant that most of our outdoor activities are close to home so that it’s easy to pop back inside to warm up. 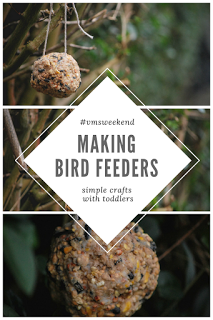 Since we’re currently in the middle of winter I thought I’d share an easy little DIY activity for you and your toddler this week to help feed the birds in your garden. We roughly followed this tutorial from the Eden project website but the beauty of these are that you can adapt it however you like and with what you’ve got in. Popped the digestives in a bag, crushed them with a rolling pin and then emptied them into a mixing bowl. Lyra loved doing this bit and we had to take the rolling pin off her eventually before she crushed the biscuits into too small pieces. Pour the seed and lard into the mixing bowl and mix it all up together. 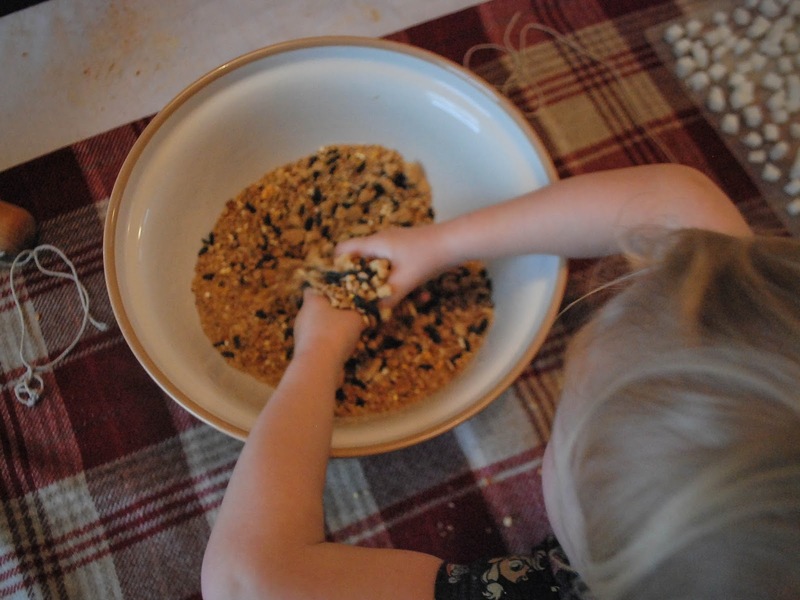 Again nice and easy for your toddler to get involved with. Lyra especially enjoyed mixing it with her hands! We then tied big knots into our string and squished the mixture around them to make balls hanging from the string. We also just shaped a few into discs without string to leave on our windowsill. Pop them in the fridge for a bit to harden before hanging them out in your garden. This was such an easy DIY and Lyra loved getting involved with every step. 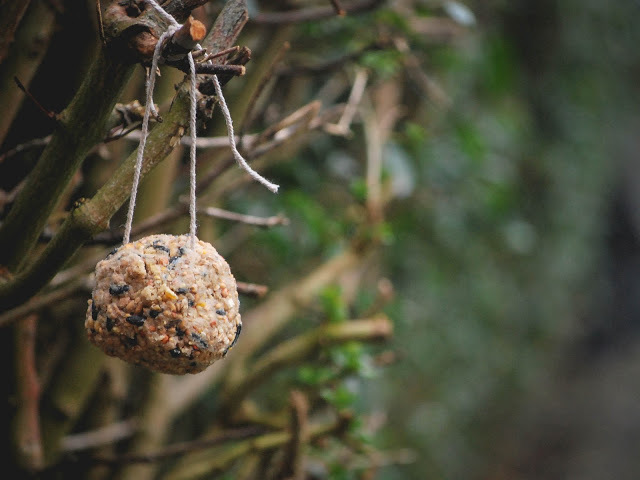 Plus you get the added benefit of attracting more birds to your garden which pleased Lyra no end. She’s now been sat at the window every day looking out for the birds coming to feed. So what are you waiting for?! Why not try making your own bird feeders this weekend. I’d love to see your creations so please tag me on Instagram or Twitter or use the hashtag #vmsweekend if you try it.